It will be for sale if posted here. Sony Clie PEG-NX80V. In excellent physical condition. Original battery holds charge quite well. Screen and magnesium body are excellent. Note/Camera is working intermittently at the moment. Complete package including: 1) unit with all original accessories, software, and manuals in original box. 2) Sony PEGA-WL110 Wireless LAN Card (in original box with case). 3) Fellowes Stowaway Portable PDA Keyboard (in original box). 4) Sony PEGA-HS10 Data Sync cable for sync without the cradle (unused in sealed package). 5) Case. 6) 2 x new batteries. Original cost was $850. Serious inquiries only, please. Display: 320 x 480 pixels, 65,000 colors backlit TFT active matrix transflective display. Hi res plus. Performance: 200 MHz PXA 263 XScale processor. 32 megs of built in RAM, 32 megs ROM. Camera: Still image resolution: 1.3 megapixel CCD camera. Image sizes of 1280 x 960, 640 x 480, 320 x 240, 320 x 480. Movies with audio recorded at 160x112 pixels. White balance, brightness and several effects settings are available. Audio: Built in speaker for alarms. Built-in stereo MP3 Player (plays real sounds rather than only Midi synthesized sounds). Voice recorder. Software: Palm OS 5, Palm Desktop 4.1 for Clié (Windows only) and the usual suite of Palm and Sony applications. 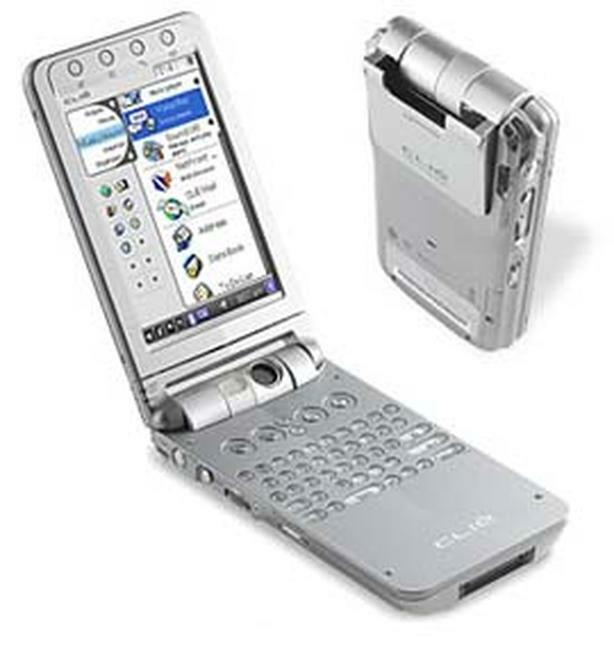 Sony apps: CLIE™ Album, CLIE™ Camera, CLIE™ Mail, CLIE™ Memo, CLIE™ Paint, CLIE™ Remote Commander, CLIE™ Viewer, Flash Player 5, Image Converter v.1.0 (for PC), Memory Stick Backup, Data Export (for PC), Data Import, Movie Player, Movie Recorder, PictureGear™ Studio (for PC), PhotoStand, Photo Editor , SonicStage™ LE v.1.5 (for PC), Sound Converter 2 (for PC), Sound Utility, Voice Recorder, World Alarm Clock. 3rd party software (not trial, full versions): MobiPocket Reader (Franklin® Electronic Publishers), NetFront 3 Web Browser, Decuma handwriting recognition, Graffiti 2, Picsel Viewer, Intellisync Lite.